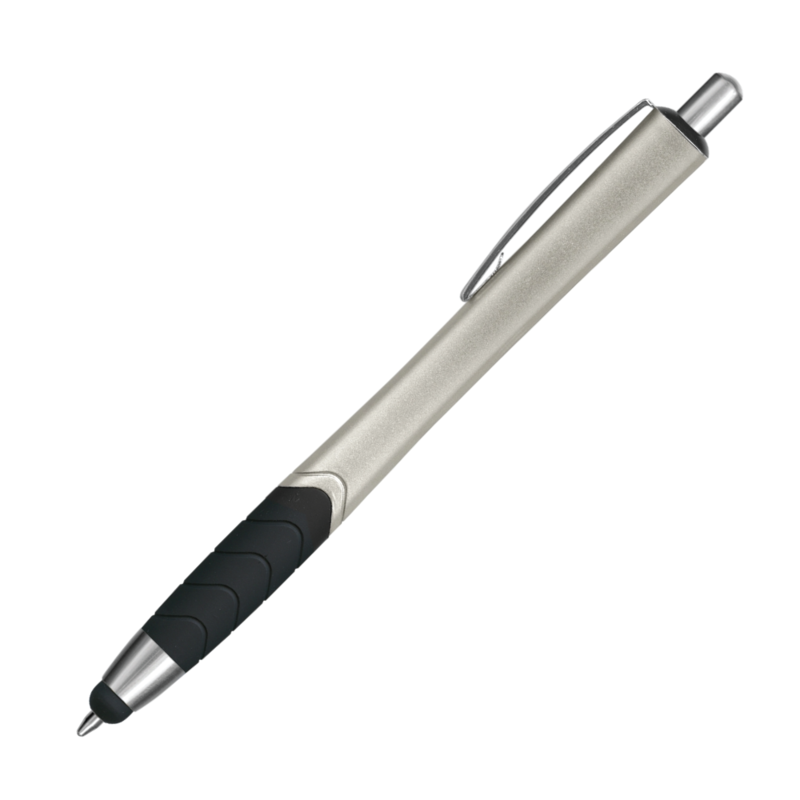 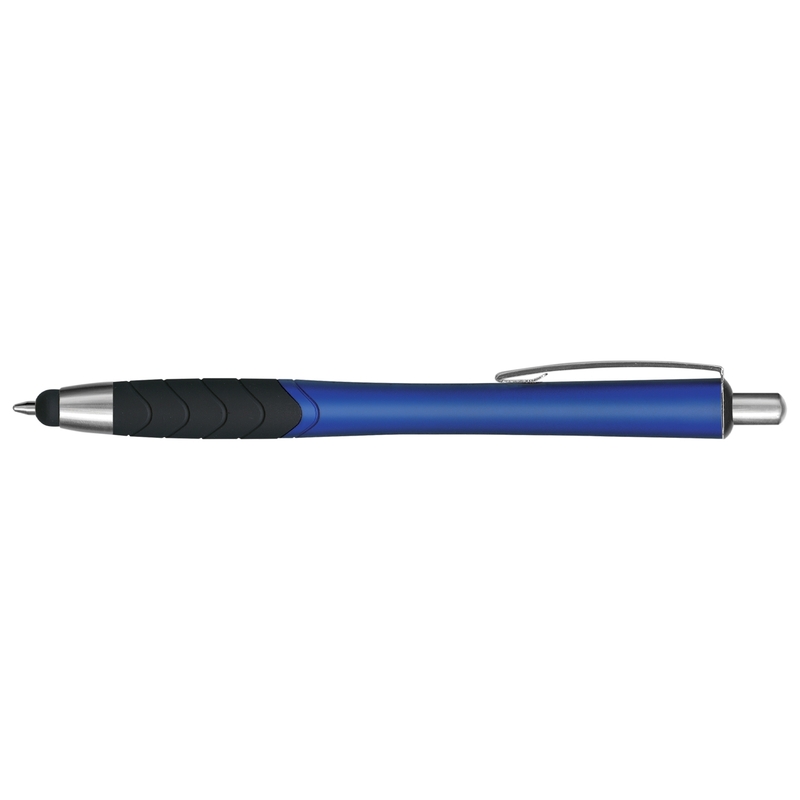 A fabulous stylus pen with a simple sleek design for use on touch screen devices and paper. A fabulous stylus pen that can be used on touch screen devices or as a writing instrument. 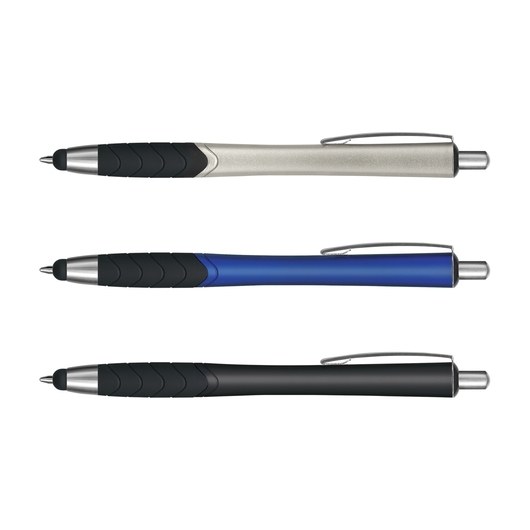 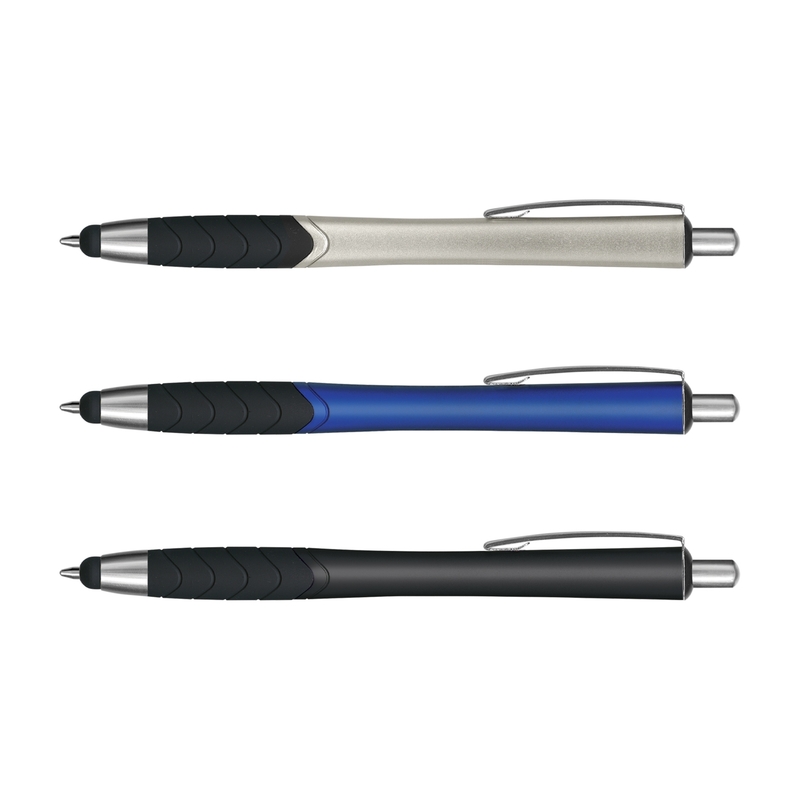 Your choice from 3 corporate colours, these pens are made from plastic and metal and have a lacquered soft touch rubber grip, chrome trim and a stylus. 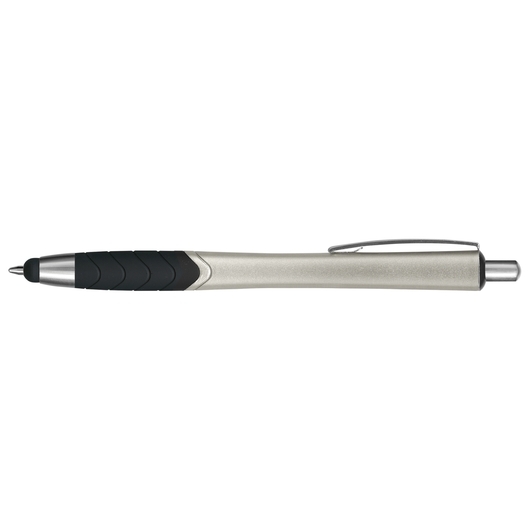 Comes with 1200m of German manufactured black ink and a tungsten carbide ball for improved writing quality.